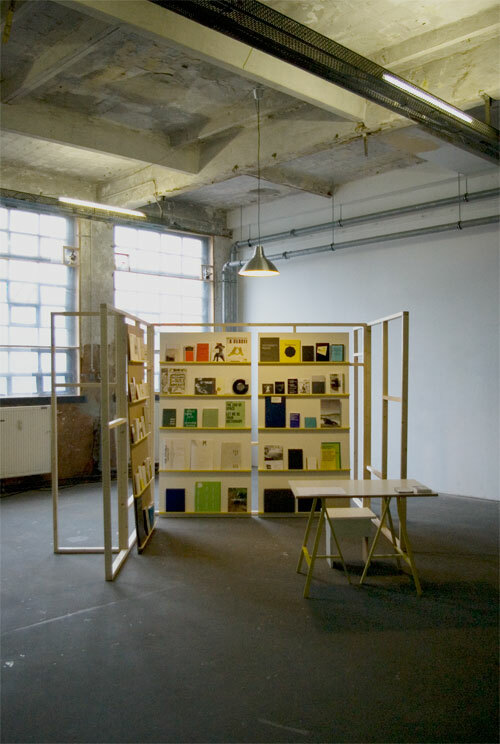 The Reading Room is a project based in private spaces in Berlin, with the aim to maintain, archive and represent products of contemporary art practices evolving within printed and published formats. The project presents a curated selection of over 50 artist's publications (books, zines, magazines and newspapers) and related projects (such as fold-out posters or published audio projects), from a range of internationally based artists, both established and emerging. At Flutgraben, The Reading Room is situated within a specially-constructed space in the studio complex for a period of four months, available for use by the artists of Flutgraben and outside visitors every Wednesday (11 - 17.00), and also by special appointment at all other times (request per e-mail).